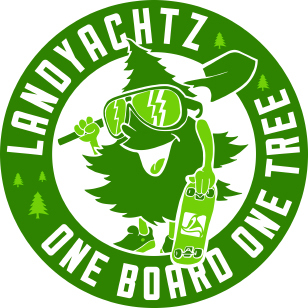 The Battle Axe has been a wildly popular shape in the Landyachtz longboard lineup since it first saw the light of day. It has the right specifications for making an all-day carver that also delivers heavily on the chilled out cruising comfort. Mainly thanks to the drop-through mounted trucks, the rocker in the shape and just the right amount of flex in the deck. This is a complete setup, which comes premounted with piles of delicious hardware, Bear trucks and bearings, and slick 70mm Hawgs wheels.